A common method of treating freshly cut meat is the addition of salt, this process of corning inhibits the growth of bacteria and other microorganisms keeping the meat order less and reduces the water retention. Dry curing works best when the meat is cut into smaller pieces with salt and placing the meat in a tightly sealed plastic storage bag. Remove the excess salt before cooking with a through rinse, in case there is excess salt, boil or soak the meat or reduce the curing time. Sweet and spice as a combination or individually is a perfect method of curing meat, fish or vegetables. Sugar in the form of honey, corn or maple syrup removes the harsh flavour of salt and contributes to the growth of beneficial bacteria. Sweet pickle curing involves a combination of curing salt with equal proportions of water to create a sweet pickle solution which is injected into the meat and then submerged for a period of time. The meat is then left to soak in the brine and refrigerated until it’s cooked. Meat with a smoky flavour is created as an outcome of smoke preservation. 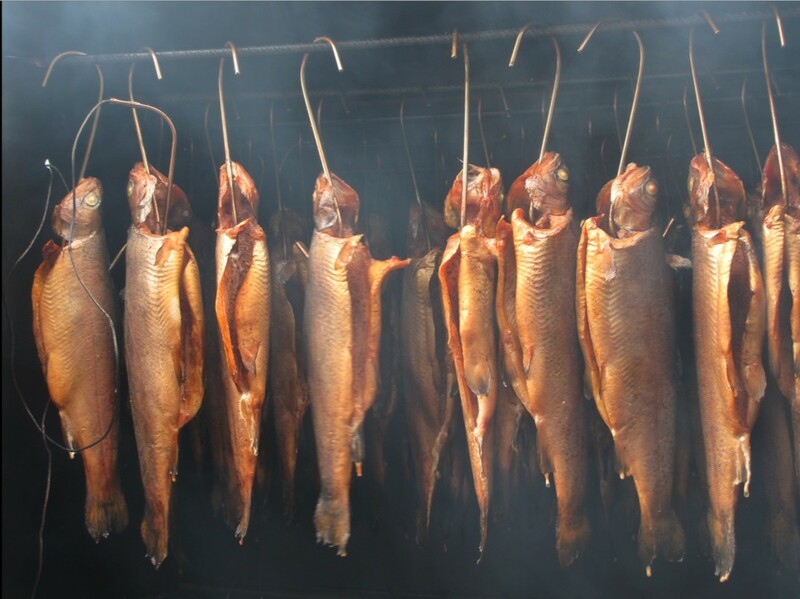 In this method of meat curing the meat is directly exposed to smoke from burning or smouldering plants or wood, if the smoke is persistent and hot enough to slow-cook, it keeps the meat tender. Common methods of include hot smoking, roasting, smoke roasting and cold smoking. Smoke curing can be combined with other methods such as salting, this creates a layer above the meat sealing any entry for bacteria. Most salts may not contain the potency to cure meat, in order to create a pink or reddish colour in the meat a mild use of sodium nitrite and potassium nitrate is used to cure the meat and remove the grey tinge that comes from regular curing. Although literate curing isn’t allowed for commercial purposes, many home preservers still use this technique to make sausages and regular fermentation of meat for a rich tangy flavour. The amount of time spent for curing meat is directly proportional to the thickness and amount of bone and fat. Experimenting with unique styles and spices is left to the cook and always encouraged. For fresh cuts always look out for meat from Brown Apron.